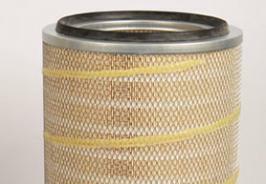 Tread cartridges from Envirox are suitable for dust filters and dust collectors used in food & beverage applications. 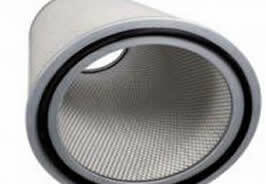 They can also be used for abrasive, toxic and explosive dust filtration. 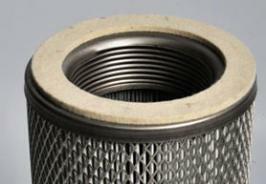 The range comprises conical tread cartridges and filter tread cartridges. Our tread cartridge end caps are made of galvanised and stainless steel for high filter performance and long service life. 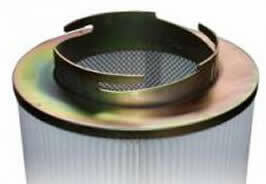 They also feature metal-threaded flanges – making them adaptable to almost any dust collectors. The cross-industry and medium adaptability of these tread cartridges results in reduced costs in your production processes from fewer cartridges required. 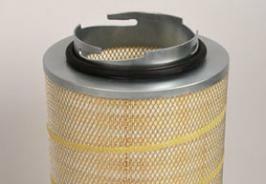 Our tread cartridges can be equipped with many different high-quality filter media types. This makes them suitable for various industries and dust types, including abrasive, toxic and explosive dust. Tread cartridges from Envirox are suitable for food & bev applications, but can be used for abrasive and other dust types. Contact us today!